Loma Wax Company, a small Grand Valley business, offers two types of mustache wax and one type of beard oil. Each product is $12 a piece. 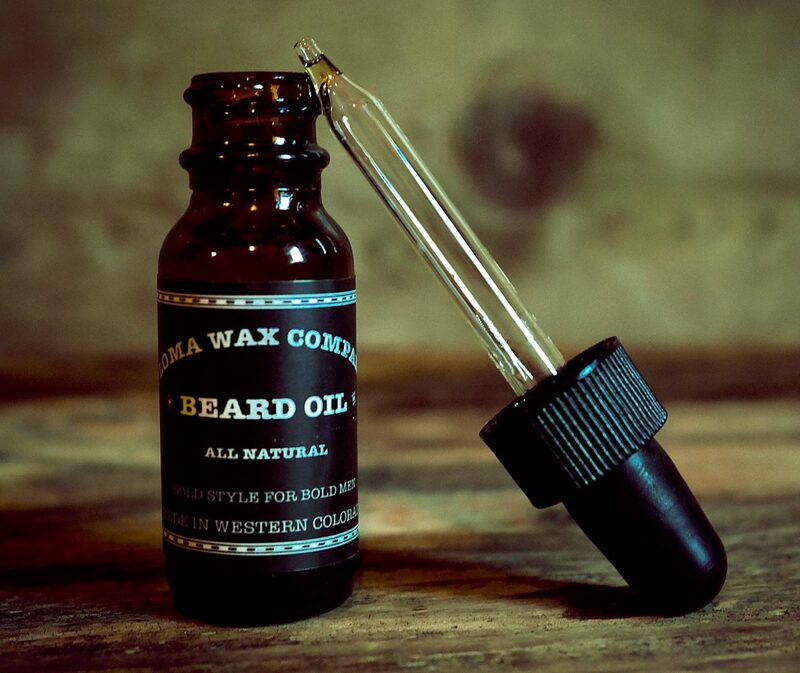 Loma Wax Company's beard oil boasts a creamy scent with citrus tones. 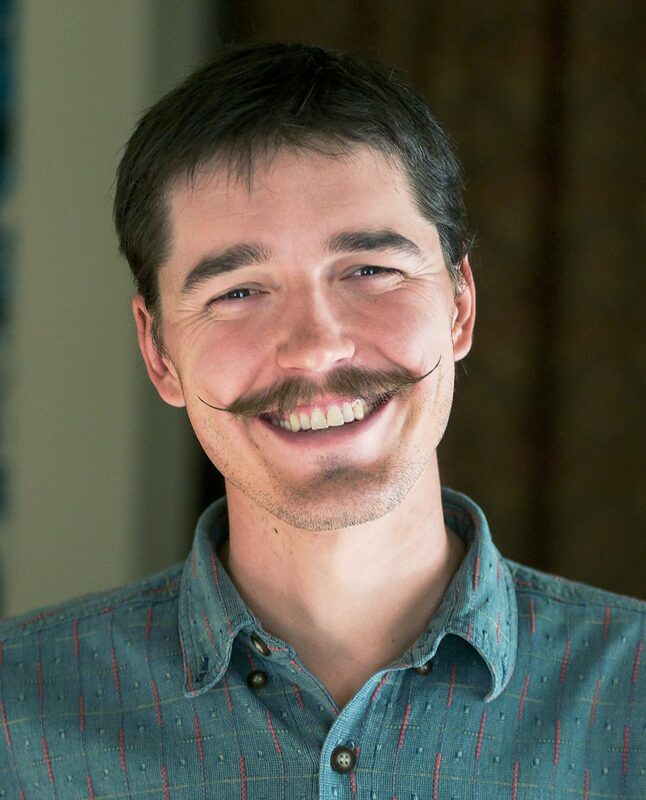 Jesse Lanci is founder of Loma Wax Company and a proud mustache enthusiast living in Grand Junction, Colo.
Jesse Lanci's girlfriend, Kate Graham, loves his mustache. 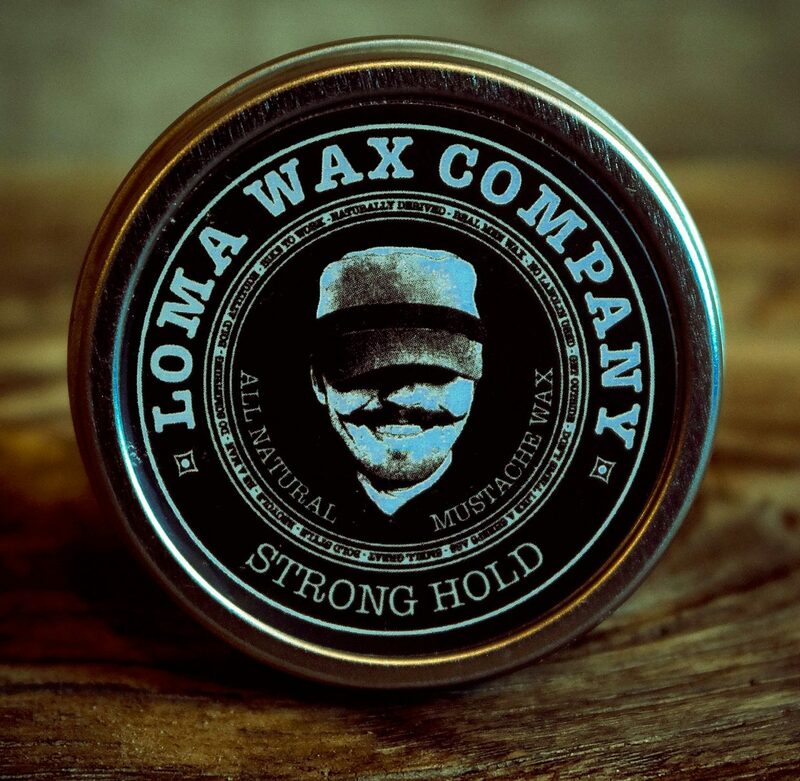 Jesse Lanci, founder/operator of Loma Wax Company, has been making and testing mustache wax for a few years now. Loma Wax Company is operated out of Jesse Lanci's home in Grand Junction, Colo.
Loma Wax Company products are available at The Vintage Common (Fruita); The Barber Shop (Clifton); Safari LTD., Bams Beauty Skin Care Studio & Boutique, Roots Salon, the Grand Valley Magazine and Loki (Grand Junction); and Downtown Drug (Glenwood Springs). Each product costs $12 each, and lasts a few months depending on use. 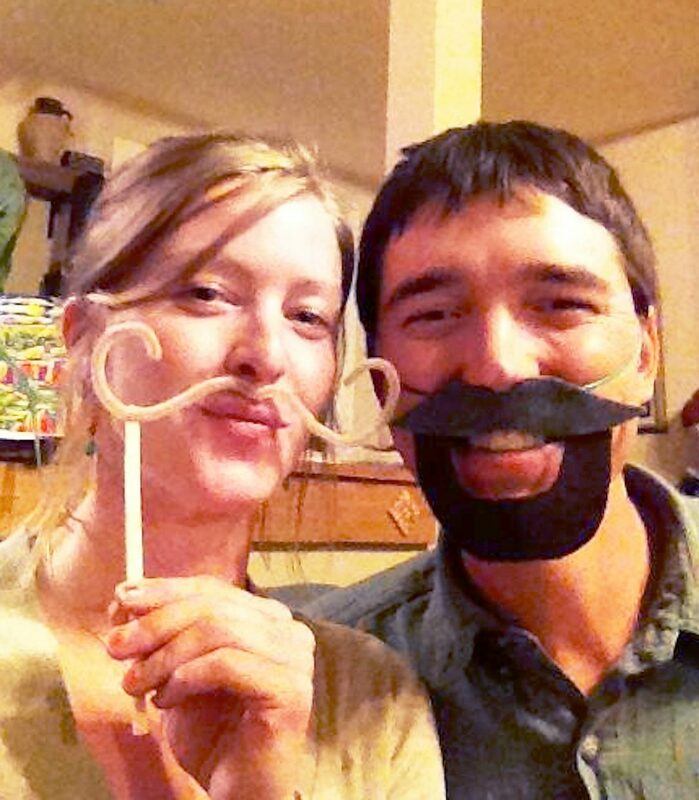 When Jesse Lanci, a Grand Junction resident and founder of Loma Wax Company, began growing a mustache three years ago, his girlfriend, Kate Graham, was all for it. The same can be said for starting a business, as Graham gave Lanci full support in his quest to create the best natural mustache wax and beard oil around. According to Lanci, when his lip hair grew long enough to need more structure, he couldn’t find a mustache wax to his liking. So, he developed his own with simplicity in mind. He uses strong-hold wax to curl the ends of his ‘stache, with gentle hold on the middle section as he doesn’t want it to appear pasted down. Originally from Glenwood Springs, Lanci said he moved to the Grand Valley a few years back. Now his mustache products are carried across Mesa County and into the Roaring Fork Valley, at shops including: The Vintage Common (Fruita); The Barber Shop (Clifton); Safari LTD., Bams Beauty Skin Care Studio & Boutique, Roots Salon, the Grand Valley Magazine; Loki (Grand Junction); and Downtown Drug (Glenwood Springs). Each product costs $12 each, and lasts a few months depending on use. Both Lanci and Graham are environmentally focused as well — he works as a river biologist for U.S. Fish and Wildlife Service and she works as a field manager for Conservation Colorado — which plays into how Loma Wax Company’s products are produced. 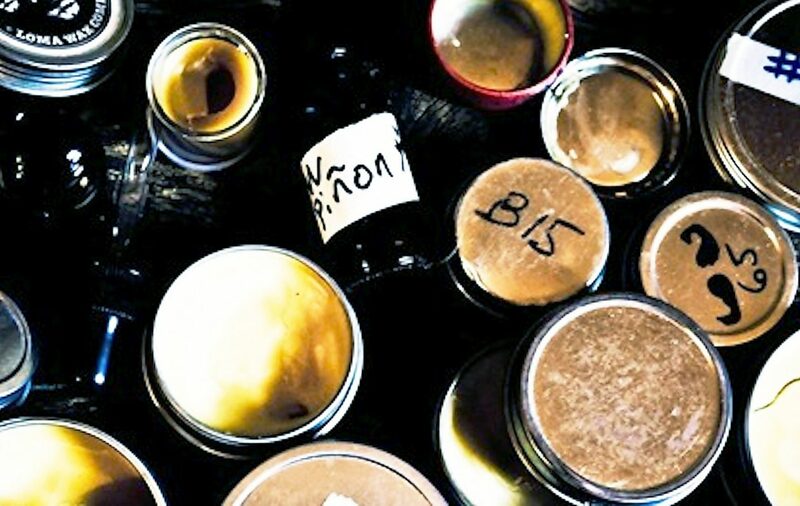 Lanci confirmed that he makes his own recipes from a home workshop, which consist primarily of beeswax, vitamin E oil, shea butter and essential oils from Alma Del Sol in Mack, Colo.
Plus, Lanci designed every aspect of Loma Wax Company’s look, including logos, FDA-approved labeling and a variety of marketing pieces. “I do everything myself,” Lanci said. “I’m hoping to go larger production and keep it going” long term. To do just that, Lanci started a Kickstarter campaign to help support a marketing-focused road trip — to raise enough funds to get mustache wax and beard oil into stores across the western United States. 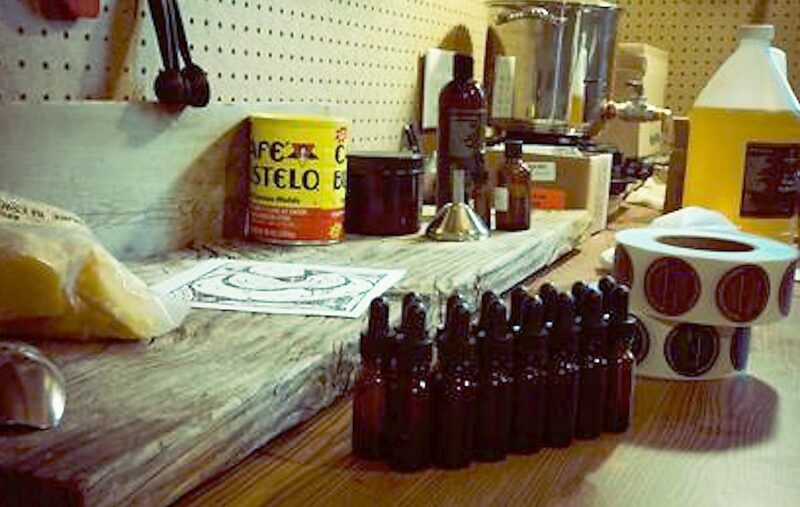 Search http://www.kickstarter.com for the “Mustache Wax & Beard Oil Road Trip” by Loma Wax Company LLC. Mustache tip: Lanci’s mustache didn’t grow in over night; time and patience is needed to cultivate facial hair of any type. Graham isn’t the only person who appreciates Lanci’s facial hair and products. He also won Fruita’s Hot Tomato Pizzeria Manmerica Moustache Beauty Competition last year. For more information, visit http://www.LomaWaxCompany.com, email LomaWaxCompany@gmail.com, or call 970-903-0578. Loma Wax Company can be found on Facebook and Twitter, too.